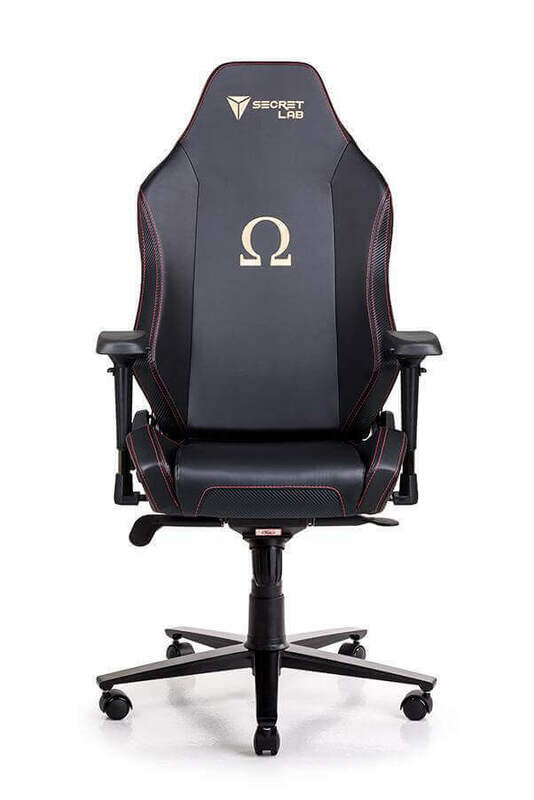 Finding a premium quality gaming chair for a low budget is difficult. A lot of chairs on the market cost several hundred dollars and it seems almost impossible to find one at a price that you might expect to see in a Walmart. We know how much of a struggle it can be to sit in a non-gaming tailored chair because you can’t afford an actual gaming chair. This is why we’re constantly searching for chairs that not only deliver the high-quality you’d expect from a gaming chair but do it at an affordable price. We think we’ve found another one here which delivers quality for a low price, the GT RACING Chair! Despite its budget price tag, this chair does so many things right. We love the extra features like the rubberized toe grips and the high-quality upholstery. We’re pretty impressed with the level of creativity that was put into the design of this chair. The dual layer features some sections that are a bit grippier than others. This works pretty well with the ergonomics of the chair, giving it even more of a race feel than you normally would find on budget gaming chairs. The feature list on this chair is as impressive as that of a higher priced one, but how well does it hold up to some hands-on testing? From GTRACING comes a chair that was built with a racing theme in mind and was made with a perfectly balanced budget in mind. On the outside, it doesn’t look any different than one of those chairs that costs hundreds of dollars, so what gives? Did they cheap out on the inside? GTRACING is pretty well known in the gaming chair industry for creating chairs that deliver quality on a low budget. This GT RACING Gaming Chair also supports up to 330 pounds and has a highly adjustable backrest to find the best resting position. We’ve tried a lot of comfortable chairs in the past – along with quite a few uncomfortable ones. While this chair definitely has its quirks when it comes to long term comfort, the overall experience is far from a bad one. I enjoy the snug fit but I don’t feel quite as comfortable while reclining with the pillows in place. The lumbar and neck cushions are both excellent, but when reclining, they seem to conflict with the chairs ergonomic profile. This usually isn’t a problem with most throw-on pillows, but this cushion requires a lot of fidgeting with to remove and can really detract from the experience. Multi-functional body design means that this GT RACING Chair can be fitted to different kinds of body shapes and the wide shoulders will custom fit just about anyone. If you’re tall, short, big or skinny, you should be able to enjoy the chair comfortably without issues. I’m an average sized person and this chair seems to be perfectly designed to fit my measurements. But with a few closer looks, it’s easy to notice that many of the ergonomic features on this chair are designed to support larger folks. I wouldn’t be able to tell you if it’s a good enough chair for a smaller person, but from what I can tell, it shouldn’t bear any problems. The comfort template is pretty vanilla, but it’s this property alone that makes it such a good match for a wide variety of body types. The material used in the frame is high-durability metal and PVC. The material is super easy to clean if dirt or debris gets onto the chair and the leather used is not only soft but rough at the same time, so you won’t easily rip or puncture the chair. The GT RACING Chair has a 1 year warranty included with the purchase, which is limited but the GTRACING crew has always been excellent at answering any of our questions and any concerns we’ve had. Also, assembly instructions were included and they were short. Comes with the capability to rock the chair back and forth smoothly without making any noise from the base and you can also lean the backrest back to a comfortable 170 degrees. If you’re not comfortable with the armrests or where the seat is, you can simply move them up or down at the simple touch of a button, smooth and efficiently. Two pillows which are removable but we’re not sure why you’d ever want to remove them. The headrest and lumbar pillow serve as not only an added comfort feature but help you relax and are far healthier on your back than a chair without these pillows. Thanks to the ergonomic design, allows everyone of every body type to comfortably enjoy the GT RACING Chair. You can completely adjust the armrests to your liking because we know that different people have a different preference on how high they like their armrests to be Assembly instructions are included although we don’t think they’re necessary because the chair is extremely easy and quick to assemble. You can make yourself more comfortable by rocking back and forth and in the GT RACING Gaming Chair some people say that it makes them really sleepy, so it’s great for insomniacs who want to get to bed earlier. Check out what people are saying about the GT RACING Chair and what people who have purchased this chair have to say about the quality they’ve received. There was a weird odor smell at first but that went away in a couple of days. I am absolutely in love with this chair. It didn’t cost me an arm and a leg and I’ve never been more comfortable. I work from home and I’ve been sitting on a steel chair for too long, so this chair was a life saver. The pillow of this chair is the absolute best part. It’s actually more comfortable than the pillows on my bed so you can best believe I’ve thought about using this chair as a bed (I don’t think my wife would approve though). The armrests are a bit short which was perfect for me because my elbows get really uncomfortable on high arm rests. I have no complaints about this chair and it was a great purchase. These verified buyers are extremely happy with their purchase with most of them mentioning how it was great to find a nice chair on a budget. When you browse for high-quality gaming chairs, it can be a bit of a downer because most of the chairs you find cost several hundred dollars or even more. Some of those don’t even include free shipping and shipping gaming chairs can be expensive. GTRACING specializes in creating high-quality chairs for an affordable price. They want all gamers to be able to afford leisure and comfort, not just the high rollers. Also, shipping won’t cost you an arm and a leg like it does with other companies, so that’s a huge plus. The dimensions and design were made to not only be affordable but allow big, tall, short and overweight gamers to enjoy the chair alike. When you’re looking for chairs in this price range, look out for people selling used or damaged chairs because a lot of people will try to trick you in this price range. Make sure that this chair is being offered by GTRACING, so you won’t be getting some refurbished or damaged chair. Also, make sure to comb through reviews and make sure people who leave positive reviews are verified customers. We know the struggle of trying to find a decently priced gaming chair all too well. It seems impossible and the chairs that are high-quality are insanely overpriced. 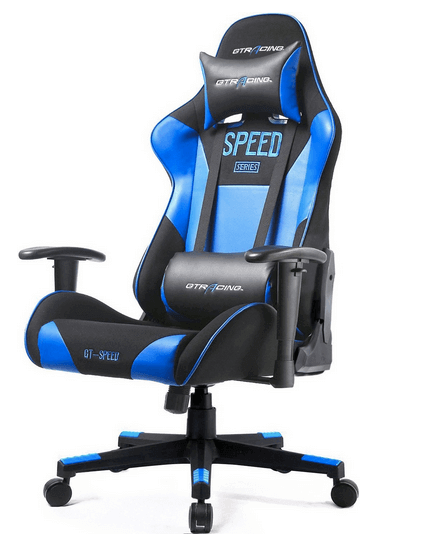 Thankfully, we found this GT RACING Gaming Chair that we could share with you. We loved it and we think you’ll love it too. Like we said though, if you want to purchase one, you need to do it quick because you never know when they’ll go out of stock.